While it's important to have an understanding of the licks and runs that top jazz players use to define their own style, it's essential for any guitarist who wants to succeed in the genre to know the chords, scales, and harmonic language that these great players have actually referred.Dolce music institute provides the basics behind the jazz language: effective chord/scale usage, reharmonizaton, approach notes, arpeggio substitutions, and melodic tension through the manipulation of harmony, rhythm, and melody, and improvisation techniques over jazz chord changes. Negotiate basic jazz chord changes. 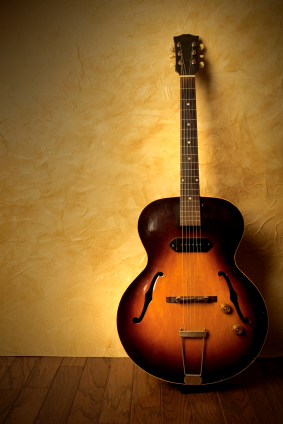 Learn five jazz standard tunes and to be able to comp and play an effective solo over the chord changes. Play and know how to use stronger harmonic language through the use of Mixolydian, harmonic, and melodic minor scales, the bebop scale, and the pentatonic scale.